On Thursday last week, a bomb was detonated inside an internet cafe in Inner Mongolia's Bayan Nur. Eight people were injured in the explosion. Chinese public security has ruled out terrorism or racial tensions and have detained twelve suspects. China News reports that the bombing may have been a result of a personal feud between the cafe's owner and a patron surnamed Zhang. Police suspect that Zhang, who was holding an undisclosed grudge against the cafe owner, decided to destroy the establishment. 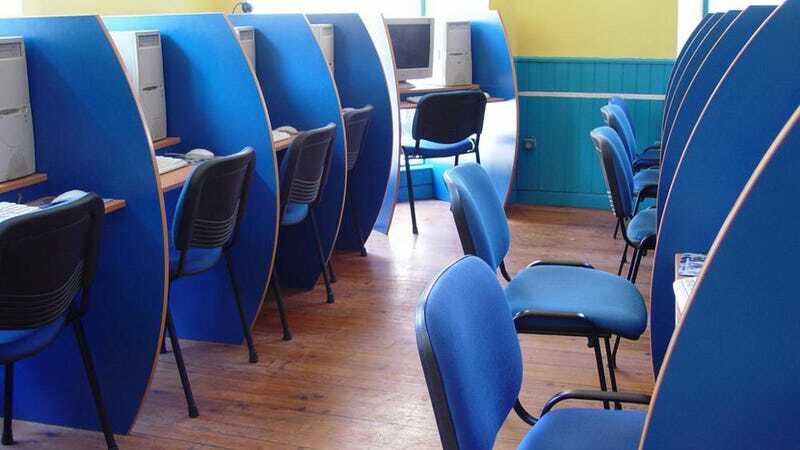 At midnight, July 11, a bomb went off in the internet cafe. It is not currently known who the eight victims are or what their current condition is. A day after the bombing, the authorities managed to track down Zhang and after some questioning, he confessed to the attack, which was motivated by an "irreconcilable difference" between him and the owner. It's unclear who the other 11 detained suspects are or where Zhang got the explosives. Currently, the authorities are still looking into the matter. Let's hope the case will be closed quickly and the eight injured get back on their feet. Top image courtesy of Jon E Oringer / Shutterstock.